Filled with a heaping spoonful of organic coffee grounds and oatmeal, this is a great all over your body scrub bar. COFFEE SEED: Toning, soothing and stimulating. Used for centuries for reducing heat and inflammation of the skin. 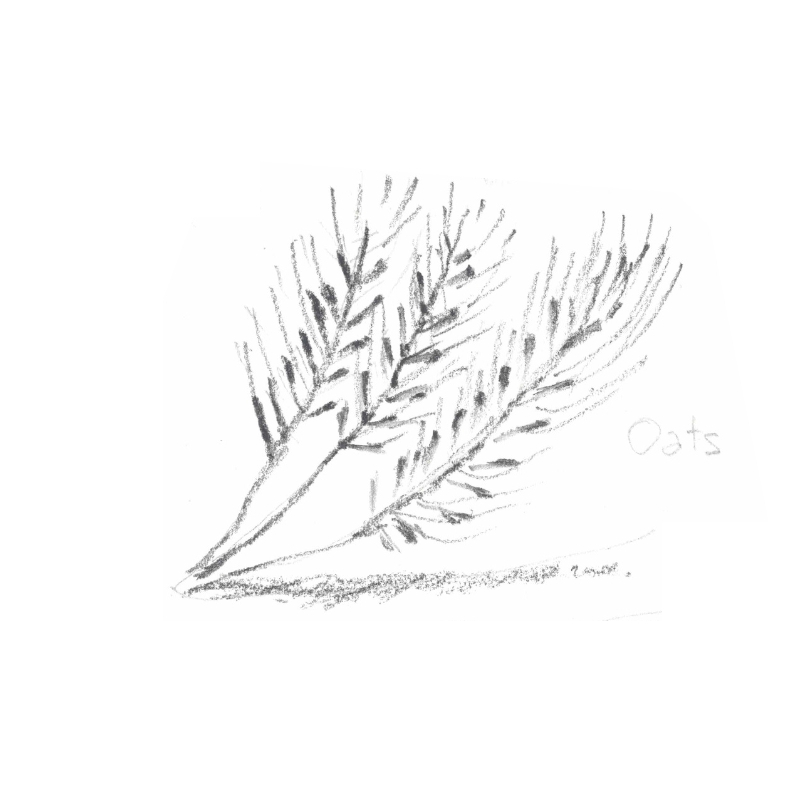 OATS: Relieves and calms, itching and irritated skin. Balances pH and has anti-inflammatory and anti-histamic properties. High content of proteins, lipids, iron, calcium and vitamin B1- making it soothing and moisturizing to the skin. VANILLA: It’s main aromatic compound, vanillin, is an antioxidant that brightens, softens and restores the skin. The sugars in vanilla act as a humectant, which forms a barrier on the skin to prevent moisture loss. Also has anti-inflammatory, antioxidant, antimicrobial and antibacterial properties. Lather up and scrub this bar all over your body for a lavish exfoliating experience. Packed full of organic coffee grounds and oatmeal, it’s the ultimate body buffer.